Grace Beverly Jones is indeed her name. But for a starlet with such a well known moniker, the personal details of Jones’ life remain largely unknown. We know the basics — that Grace is Caribbean American, that she is Jamaican-born. And we vaguely recollect her catalogue of early disco records and the string of 80s new wave albums that cemented her status within the international avant garde. And the iconography — who in pop culture could possibly forget those legendary aesthetics? The makeup — piercing, effervescently shaded and lighted, sharply contoured. The square-cut, androgynous clothing — padded and angled to the taper. But this is all legend, a fixture of an expertly crafted visual and sonic narrative. In short, this is fiction — and what we in the public have never done in any meaningful way, is explore the woman lying at the center of it all, driving this story. 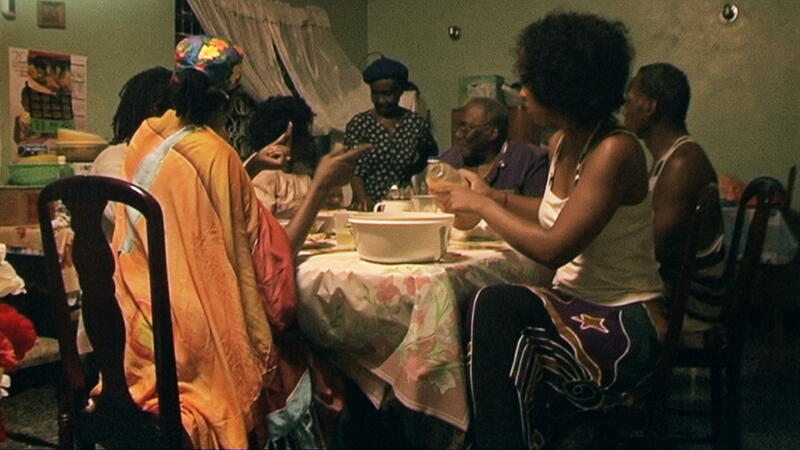 Before Jones established herself as the musical and aesthetic institution we’ve come to regard her as, she spent 13 years on the island of Jamaica. Music and aesthetics are timeworn traditions there, as the careers of Bob Marley and Naomi Campbell can attest. 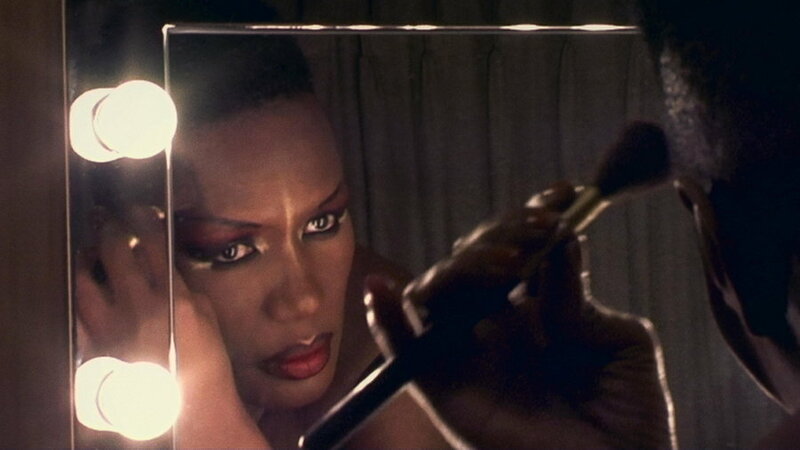 In her new documentary: Grace Jones: Bloodlight and Bami (2017), Grace provides a lens that enables the viewers to interpret her life on her chosen terms. Just as the title suggests, Jones’ life and work has often been a complicated push and pull between pop icon and everyday woman; international stardom and home roots. She tell us that ‘Bloodlight!’ is a patois shorthand producers would shout out, indicating to others when she was in the booth recording. And ‘bami,’ harkens back to the distinctive way that she likes her jerk chicken prepared—the unofficial national dish of Jamaica. She says she thinks of herself as bami girl. The Caribbean has always been home for the singer and this created great difficulties for the artist when transition to the United States was imminent. Her parents settled in the States ahead of time, leaving both her and her brother behind in Jamaica with her grandmother and her grandmother’s new husband. Grace has described her new grandfather as physically abusive and as an overruling disciplinarian. She laments that the strict environment contributed to her own perfectionist tendencies. Shortly after arriving in Syracuse, New York in 1961 Jones’ birth father secured the money to purchase and preside over a church. A tradition embraced by Grace’s brother Noel Jones who later appeared on the 2013 hit reality TV show Preachers of LA. After high school graduation Grace found her calling while attending community college. During this time, she began rebelling against the strict rules of her parents, experimenting with alcohol, makeup, and the local gay scene — all banned in her ultra-conservative Christian household. At the bequest of a drama teacher, she traveled to Philadelphia for a summer tour. After stumbling upon the hippie counterculture of the late 60s, she found her voice in the Philadelphia arts scene, and decided to stay. 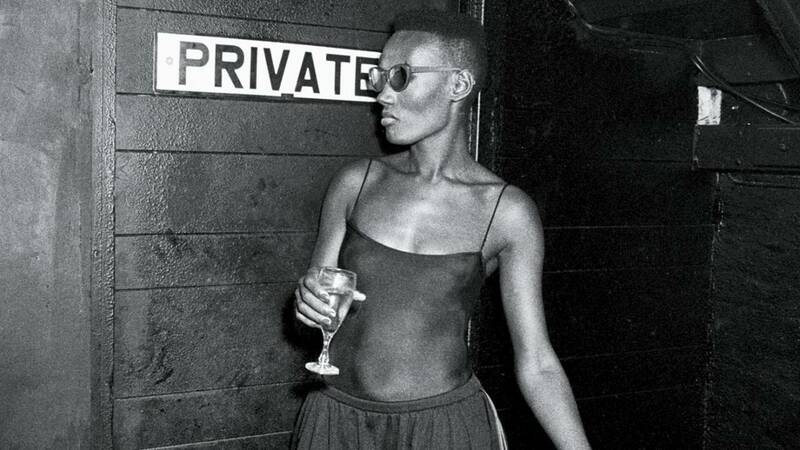 Grace Jones at her birthday party in 1978. Her public career began with modeling. In 1966 at age 18, she moved to New York City and was discovered by the Wilhelmina Modeling Agency. The agency believed that her darker-skin, thin/tall frame, and aquiline facial features were better suited for European markets and the emerging fashion trends there. She lived and worked in Paris where she found commercial success, gracing the covers of Vogue and Elle, attending the poshest parties, and clinking champagne glasses with the likes of Karl Lagerfeld and other major designers. This buzz generated enough attention for her to debut her other array of artistic gifts, specifically her music and performance art. She moved back to New York City and started her disco career in the 70s. Ever the socialite, she rapidly developed close ties to the legendary Studio 54 disco scene, and became a staple act and personality. 54 was a cultural hub, boasting attendees including Andy Warhol, Liza Minnelli, Diana Ross and other A-listers. Her disco hits, while catchy, were not particularly commercially successful. However, they played regularly in nightclubs. It was during the late 70s, with disco going out of vogue, that she linked up with the iconic Jean-Paul Goude, and began the professional and romantic relationship that cemented her musical and visual celebrity. With Grace as an inspiring editorial canvas and Jean-Paul in search of a muse, it was all but a match made in heaven. 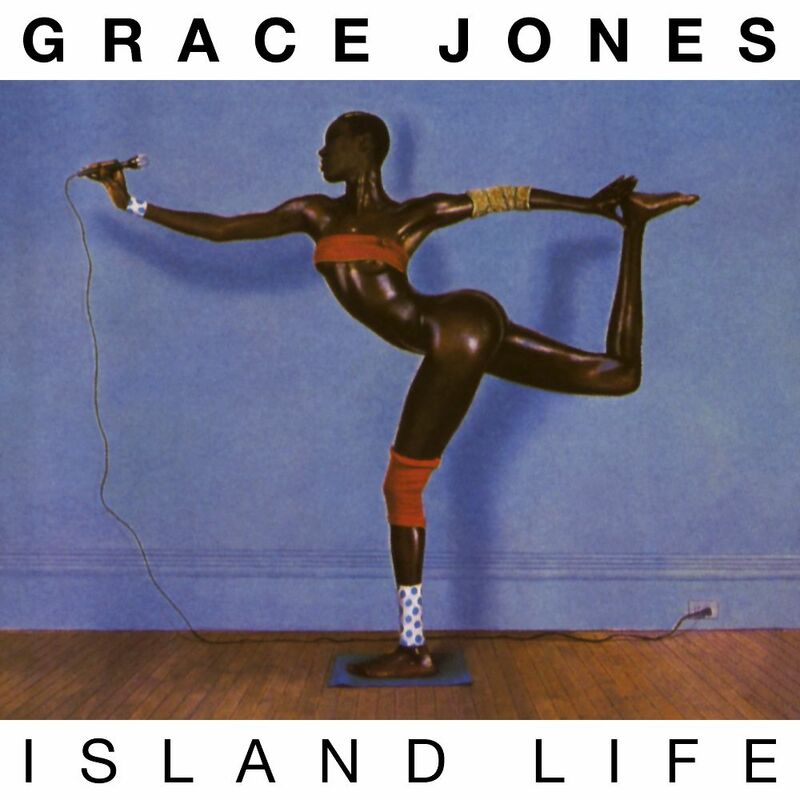 The cover artwork for Grace’s new wave LPs: Warm Leatherette (1980), Nightclubbing (1981), Island Life (1985), and Slave to the Rhythm (1985) are iconic images of the era. All of these photos have widely circulated in pop culture, featuring the notorious dramatizations that established Grace as a countercultural beauty. The deeply shaded skin; the high cheek bones appendaged to the chiseled jawline; the angular poses; and the cutting edge, runway-esque, gender-androgynous costumes and suits — all contributed to the image, the myth, the legend that shrouded (and shrouds) the singer. Both Grace and Jean-Paul Goude would later reveal that this persona, birthed by their collaborative process, eventually became larger than life. 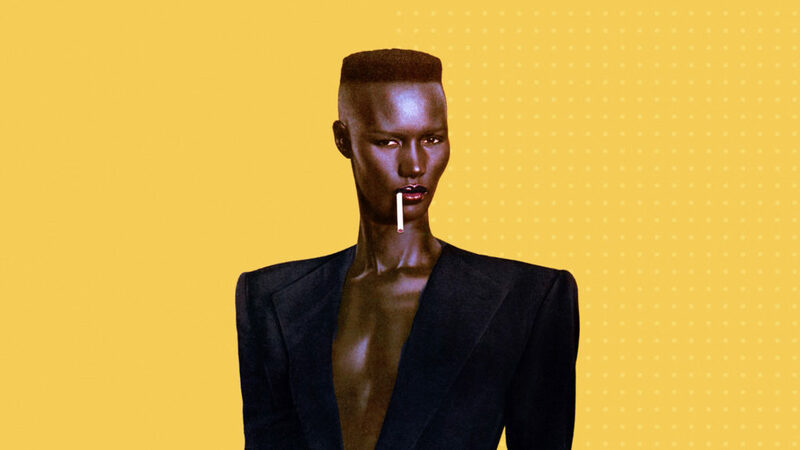 It was said that Goude’s obsession (and often preference) for this image, and this idea of Grace, eventually contributed to their relationship’s collapse. This collapse coincided with Jones’ slow retreat from the recording studio at the end of the 80s. Although, one could argue that her stage presence and performance art would only become more extravagant and outlandish as time went on. In recent years some concertgoers have argued that her contemporary performances are even more lavish and electrifying than the productions of her classic years. In 2015, Jones — in classic Grace style—published a book titled I’ll Never Write My Memoirs. In her documentary however, we get to join Grace on a journey in her natural element. That is, the musical and the visual. Grace Jones has revolutionized the visual and sonic art landscapes in ways that we are still learning how to comprehend and contend with 40 years into her career. Working at the forefront of the avant garde, she has served as muse and influence for creatives across all mediums, including photography, videography and film, fashion, music, and even academia. With such a profound impact, it is both reflective and confounding irony, that all we know so little of this world-renowned creative. That is, outside of the fact that her name was Grace.